Indian taxi rickshaws exposed in a row. MUMBAI, INDIA - 11 JANUARY 2015: Young European man driving in taxi with Indian taxi driver, timelapse. MUMBAI, INDIA - 11 JANUARY 2015: Young European man driving in taxi with Indian taxi driver. JODHPUR, INDIA - 11 FEBRUARY 2015: Indian men by fire at street in Jodhpur, with rickshaw passing by. 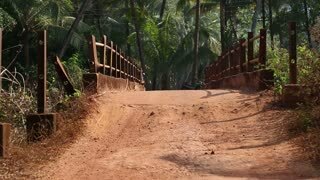 Rickshaw passing through an empty bridge in Goa. MUMBAI, INDIA - 8 JANUARY 2015: Indian men standing in front of a rickshaw on the street of Mumbai. MUMBAI, INDIA - 8 JANUARY 2015: Back view of a local Indian rickshaw driver in Mumbai. Urban dusk scene of a row of London black cab taxis with the skyline of financial district of London in the background while traffic, cyclists and pedestrians pass by in the foreground. Half speed, low angle video footage, no audio.